Charles Stewart Mott Foundation grants are available for a wide variety of non-profit activities that benefit communities and societies, the environment, educational and economic programs for low-income people. Projects that benefit Flint, Michigan, where the foundation is located, as well as other parts of the U.S., Central and Eastern Europe and Russia, and South Africa are eligible. Women and minorities are welcome to apply. The grants are for organizations, including small businesses, that are focused on improving the lives of people and communities. Small businesses in Flint, Michigan, may apply if their company focuses on arts, culture, education, community revitalization and economic development that benefit local citizens. It can include small and large art organizations that provide cultural opportunities for residents of Flint, companies that provide better education for disadvantaged school children, after-school programs and more. One organization was approved for a grant by providing technical assistance to the downtown Flint revitalization program. Another organization received grant funding to help provide more services to the homeless and near-homeless, such as motel stays, bus passes, gas cards and travel assistance. 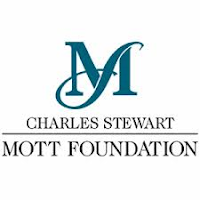 The Charles Stewart Mott Foundation was established in 1926 by Charles Stewart Mott, who was an original partner of the General Motors Corporation, founded in Flint in 1908. Mott had a keen interest in children, families, education and neighborhoods in Flint. The foundation continues to work to support programs which help sustain communities and physical environments and develop social cohesion.